Sometimes, abandoned man-made structures turn into dangerous eyesores, rotting away slowly before returning to nature or being torn down. But other times, abandoned structures take on a new semi-natural life all their own, like a crab who uses a jar for a shell. 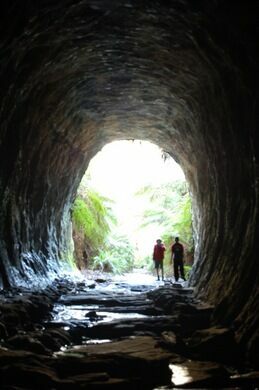 Such is the case with the Newnes railroad tunnel. Relics of Australia's convict past, and a modern scene of unimaginable horror. 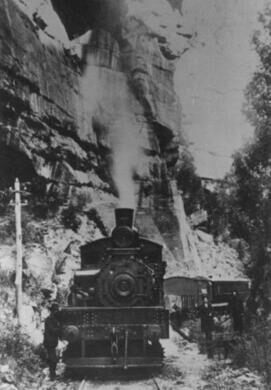 The Newnes railroad was closed in 1932 after 25 years of shipping oil shale. 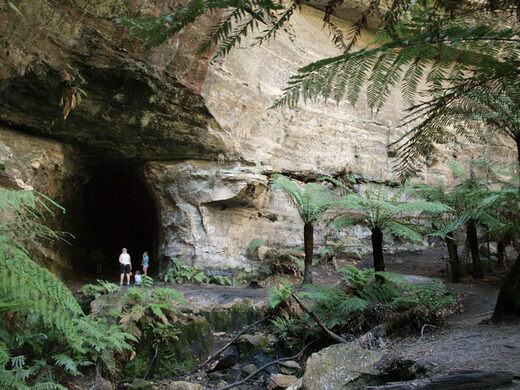 The rails were pulled out of the 600-meter tunnel, which had been bored through the sandstone in the Wollemi National Park, and the tunnel was left to its own devices. For Newnes, that meant becoming home to thousands and thousands of glow worms. The glow worm is a catch-all name for the bioluminescent larvae of various species, in this case, the Arachnocampa richardsae, a type of fungus gnat. Found in massive numbers in caves, the fungus gnat larvae cling to the rocky walls of the abandoned tunnel and hunt with long, glowing strings of sticky mucus. 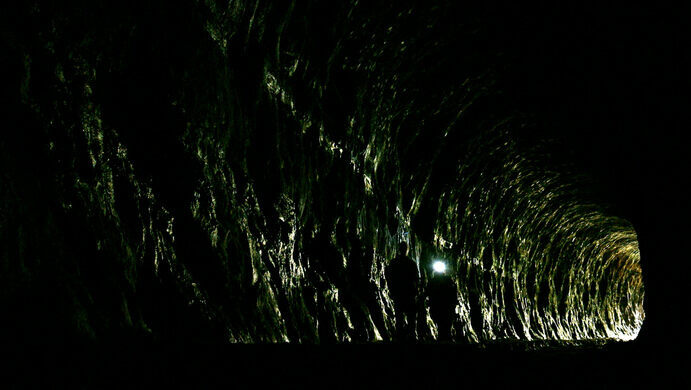 To see the glowing gnats, enter the tunnel during daylight hours, and head to the middle - it gets dark in the middle where there is a bend in the tunnel - with a flashlight, so as not to bump into the walls. Turn off the light and wait a minute or two. One by one, the gnats will begin to shine like stars emerging in the night. A similar cave can be found in New Zealand at the Waitomo Glow Worm Cave. 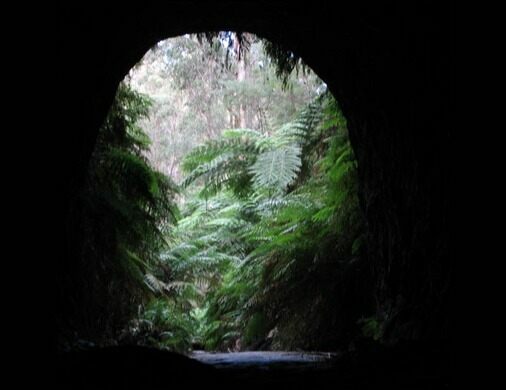 Drive from Lithgow or Clarence (both roads eventually join up), about 25km bumpy dirt road, and walk 1km to the tunnel. Standing in celebration of where the cattle dog was bred. This 4.5 metre tall statue of a native Australian bird marks Hydro Aluminium's 40th year in the area. This trio of Australian rock spires may have inspired aboriginal legend or just modern tourism. Abandoned railroad tunnel is home to a colony of three million Mexican free-tail bats. An abandoned railroad tunnel is now filled with bioluminescent bugs. Bioluminescent firefly squid light up this Japanese fishing port.